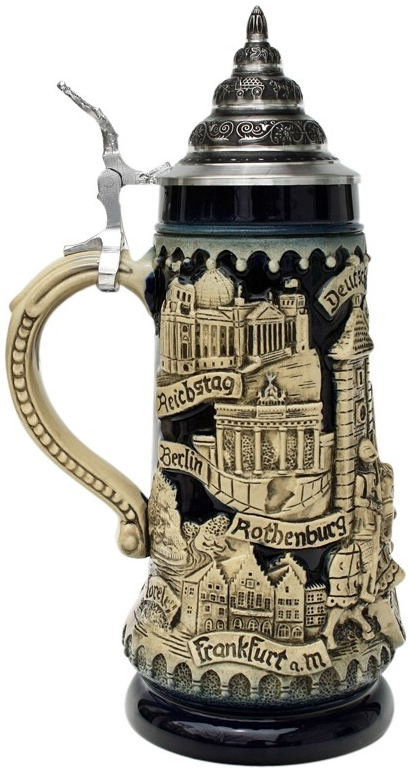 This extraordinary authentic German beer stein is handcrafted in accordance with old German traditions. The stein features deep relief technique and shows a knight on horses fighting scene in the center panel. The side panels are showing buildings and skylines of German cities. Displayed are the Reichstag, Skyline of Frankfurt a. M., Rothenburg, Heidelberg, Munich and Newschwanstein (Neuschwanstein). 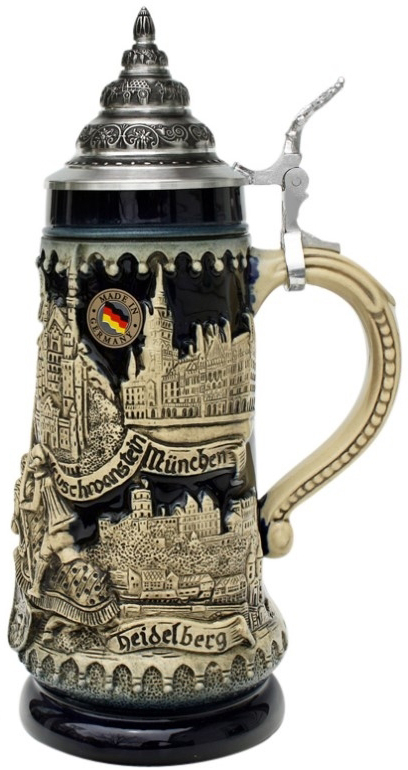 The stein is topped with a rich decorated pointed pewter lid.